Emergency situations are unavoidable. Remember the last time you encountered an injury or a bee-sting and regretted not having anything to comfort that? We can relate to that too. It is always recommended that you keep a small first aid box with you, whether you are going on a leisure trip hiking up the mountains, heading to your workplace on a routine day or promptly going to the battlefield. One of the essentials for your first aid kit is a “Medical Pad”. Sometimes also referred to as bandages or dressings, medical pads are multi-purpose; cleaning the wound, stopping blood flow and quick healing. 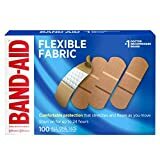 With a variety of bandages in the market, we bring you some of the most reliable and comforting medical pads for wounds you should consider having in your first aid box. Ever Ready First Aid brings effective and easy to use 6 inches compression bandages. The product comes in a gray colored, vacuum tight packaging. The packaging keeps the bandage inside intact and sterile. At the same time, it is easy to remove so that even the injured person can apply it to himself. The pack contains step by step instructions for using the bandage which is why the bandage can be applied by both professional staff and non-professionals. The large size of the bandages makes them perfect for big wounds such as encountered in battles or serious accidents. Keeping the Ever Ready First Aid Israeli Bandage will not only help you save a lot of space in your aid box but also save your money! These bandages combine multiple first aid devices in their design helping you in both primary and secondary dressing, pressure application and keeping the bandage secured at the wounded place. Above all the advantages, the battle bandages are adaptable. The application can be adapted according to the nature of the cut and situation; the user may tighten it up around the wound to completely stop the blood flow or put it loosely on the wound area just applying a moderate pressure. As evident from the name, the product is specifically suited for severe traumatic cases such as hemorrhage, deep cuts, head injury or broken limbs. The bandage immediately stops blood flow providing cure during the pre-hospital hours. The product is recommended and approved by FDA and healthcare professionals. Other benefits include water-resistance, an additional application similar to tourniquet and a mobile pad for entry and exit wounds. Flexible fabric band by Johnson and Johnson are fit to be used for personal care. It is a product that you are most likely to carry with you especially if you have kids that run around and hit themselves frequently leading to mild open cuts on arms or legs. The manufacturer company, “BAND AID” has about a 100 years of experience in producing first aid products. The flexible band-aid bandages come in a blue colored pack. Each pack having 100 bandages. The bandage is rectangular in shape and comes in three different sizes. The unique thing about the band-aid bandages is their ultra-flexible material, the presence of air channels and non-stick removal. Ultra-flexible material: The fabric of the bandage is “memory weave” which keeps the bandage in place throughout the day and doesn’t let the wound stay uncovered. Small air-channels: Each band-aid bandage has small air channels underneath it. These air channels make the wound breathable and also wipe away the excess blood from the damaged area on the skin. Non-stick removal: The ultra-flexible fabric doesn’t let the bandage stick to your skin. The user can remove the bandage easily by slightly pulling from the side. In this way, there is no skin irritation. There is a three step simple procedure that should be followed to use the band-aid bandage that includes cleaning with saline water or antiseptic solution, applying pain relief ointment and then finally healing with the band-aid adhesive bandage strip. Ideally, the product would be used on everyday cuts on thumbs and fingers. Most suitable for mother’s, kitchen staff, farm staff and laborers who work with sharp-edged tools on a daily basis. Approved by medical professional, economical and easy to carry. A must have in both homes and outside. The Tegaderm 3M bandages are also waterproof. This water resistant capability prevents the entry of opportunistic bacteria and viruses into the wound. The user can safely shower when wearing these bandages. The unique sacral design allows the user can self-dress himself. The user can apply the bandages on locations that are otherwise difficult to reach such as the shoulder or the back. The application of the bandage is both easy and fast. The sticking of the bandage on the wound side is exactly like removing a sticker from the sheet and pasting it, therefore, small children can also apply the bandage on themselves. If you are an art freak, you can work on making different designs on the transparent cover of the bandage. Now that’s the little fun part with the injury! Protection comes first. One should prepare himself for even the minor of the emergency situations. Keeping the right medical pads for wounds you can prove to be a lifesaver. Ideally, you should keep two-three kind of bandages with you. Whichever you choose, make sure that the bandage you purchase is sterile, absorbent and intact. Stay Safe but stay prepared!